The marine splash midge Telmatogon japonicus (Diptera; Chironomidae)—extreme and alien? We found all developmental stages of the midge Telmatogeton japonicus (Chironomidae) on offshore windmills near the major Swedish seaport Kalmar in the southern Baltic Sea. This might be the first record of an insect species really inhabiting the offshore areas of the Baltic Sea. 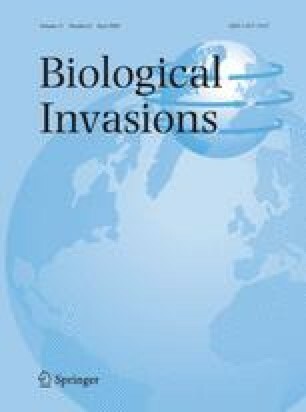 A thorough analysis of previous findings of the species, its history in Europe and its ecology indicates that T. japonicus quite likely is an alien species in Europe introduced from the Pacific Ocean. Shipping is probably the vector, as all records in the Baltic Sea and several from the Eastern Atlantic Sea are near major seaports. Our analysis further suggests that T. japonicus might be both advantageous and disadvantageous to native species in the Baltic Sea. T. japonicus should be kept under observation within monitoring programmes as it might expand its distribution as a result of the construction of new windmills in the Baltic Sea and elsewhere in European marine and brackish water habitats. The authors would like to thank Anders Olsson from Vattenfall in Bergkvara for assistance during the gathering of larvae and flying adults of the midge in difficult weather conditions. We also like to thank Peter Sigray at Stockholm University for appreciated advice.